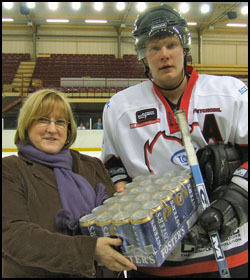 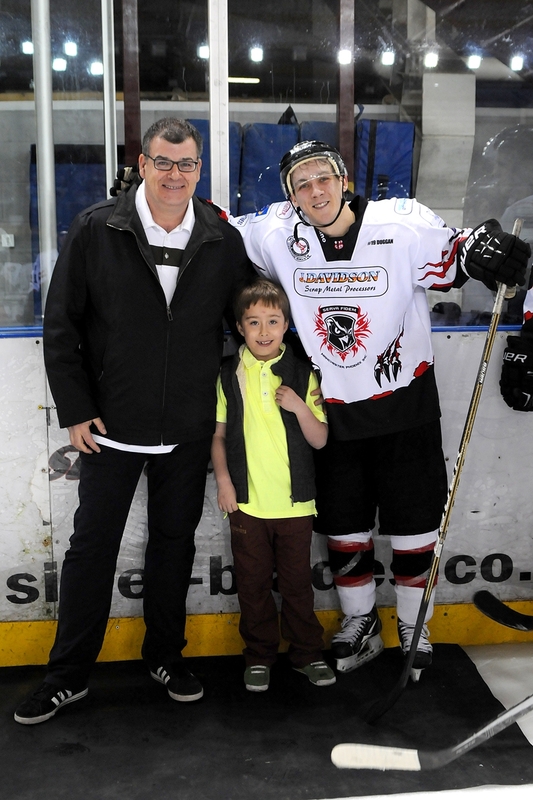 Teresa presenting the Man of the Match award to David Vychodil following a recently sponsored game. 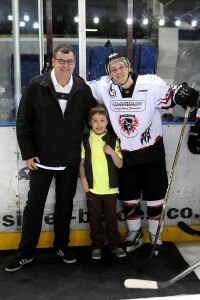 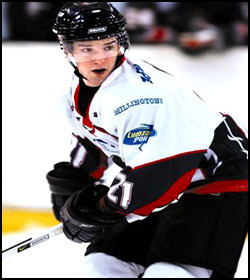 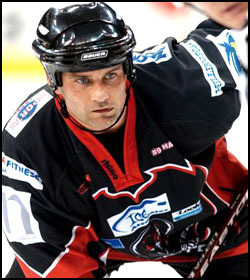 We are pleased to continue our association with the Manchester Phoenix Ice Hockey Team. 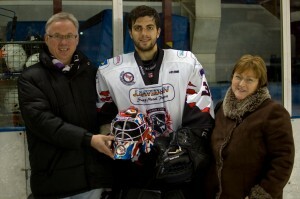 Teresa and Peter Millington with Steve Fone, the netmender. We sponsor his helmet and the fancy artwork which goes with it!